Yesterday, we hit on some of the key questions surrounding Georgia football, and allowed our panel of experts people who write for this site the chance to sound off on them. Who will win the SEC East/West/Championship? Chad Floyd: Georgia/Alabama/Georgia. SAY WHATTT. Daniel Palmer: Dawgs/LSU/Dawgs. GO DAWGS. Jason Smith: Georgia/Ole Miss/Ole Miss. Most of our site’s readers will be shocked to hear me so high on the Dawgs. No, I am not actually high. I really do think Georgia will win the East, but I only think that because I think the East is, yet again, basically dumpster juice apart from Tennessee. So long as UGA holds serve they can win this division with two losses. The West is stupid good this year. I mean just out of its mind good. I don’t have many actual reasons to pick Ole Miss other than the fact that they’re incredibly loaded with talent and no longer have Bo Wallace at QB. Their schedule is a nightmare because they play in the West, but the upside of that is that all of their division rivals have to run that gauntlet too. Ole Miss will certainly need magic to get this done but it isn’t that far outside the realm of possibility. Every google image is him stiff-arming some poor soul into oblivion. Who will win the ACC Atlantic/Coastal/Championship? Chad Floyd: Clemson/Pitt/Clemson. The ACC is going to do nothing to build on its well-earned reputation of the past 15 years. Pitt’s schedule is favorable, James Connor and Tyler Boyd are beasts…I can see this. Jason Smith: Florida State/Tech/Florida State. Tech, because ISIS. Florida State because their only real threat is Clemson, and Clemson is Clemson. Who will win the B1G East/West/Championship? Chad Floyd: Ohio State/Wisconsin/Ohio State. Jason Smith: Ohio State/Wisconsin/Ohio State. Wisconsin knows how to deal with s**t– stomp it into the ground. And they play in the most s**tty division in football. 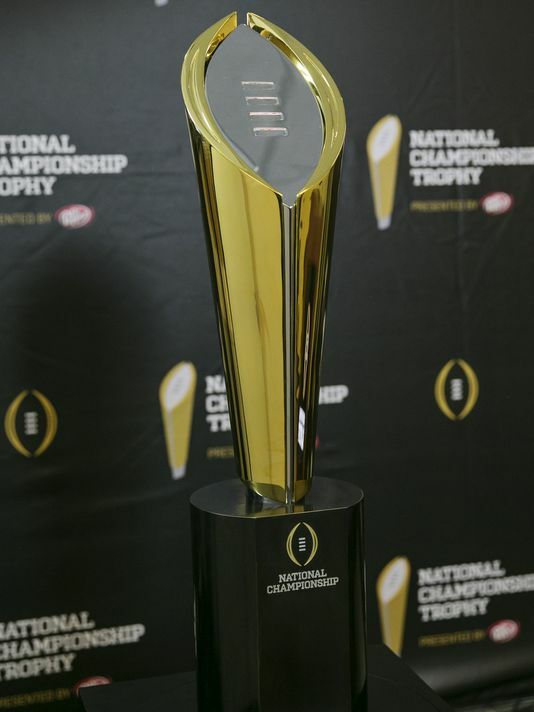 Who will win the Pac-12 North/South/Championship? Chad Floyd: Stanford/Arizona State/Arizona State. I have zero confidence in this pick but could talk you into it over three beers. Jason Smith: Oregon/USC/Oregon. Even though the South is probably better than the North and Oregon will probably be rebuilding more than the media is letting on, I think the depth of the South Division will equal lots of wear and tear for USC. Hence the speed of Oregon is just too much. I do expect USC to challenge for the playoff. Who will win the XII Championship? Chad Floyd: Baylor. They’ve been doing it longer than TCU. Jason Smith: ONE TRUE CHAMPION: TCU. After last year’s fiasco, the Big 12 gets the recognition it deserves as a conference that top to bottom is finally beginning to challenge the SEC for the pound-for-pound Best Conference in Football. Trevone Boykin’s magical season at the helm of Gary Patterson’s offense will be enough to sink Art Briles and Baylor’s chances of a playoff berth. Andrew Hall: 1. Ohio State, 2. Alabama, 3. TCU, 4. Auburn. Chad Floyd: 1. Ohio State, 2. Baylor, 3. Georgia, 4. Alabama. Daniel Palmer: Ohio State, Georgia, TCU, USC (presumably the real one). Jason Smith: 1. 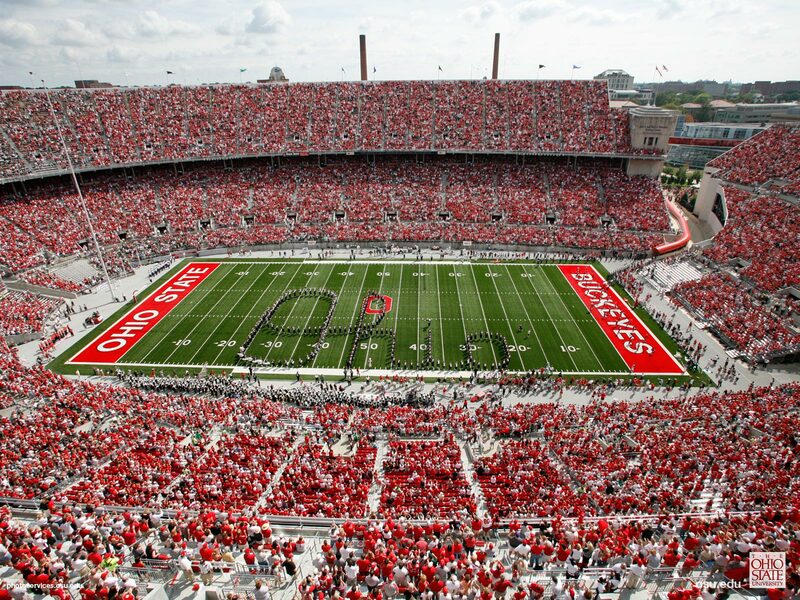 Ohio State 2. TCU 3. FSU 4. Oregon. Yeah ok so hear me out on this. If Ole Miss limps through the West, as I have them doing, and beats UGA in the SEC Championship then we’re talking about a two loss SEC Champion, probably. If that is the case then an undefeated TCU and Ohio State, plus a breezy ACC Champion Florida State are guaranteed in’s to the playoff. I suspect that the West eating itself will open the door for Oregon to sneak into the playoff over the SEC Champ and the schadenfreude we all get from the plight of the Rebs only grows. Chad Floyd: Cody Kessler, James Connor, Trevone Boykin. Daniel Palmer: Nick Chubb, Leonard Fournette, Trevone Boykin. Andrew Hall: Mike London, Virginia. Chad Floyd: Tim Beckman, Illinois. Daniel Palmer: Derek Mason, Vanderbilt. 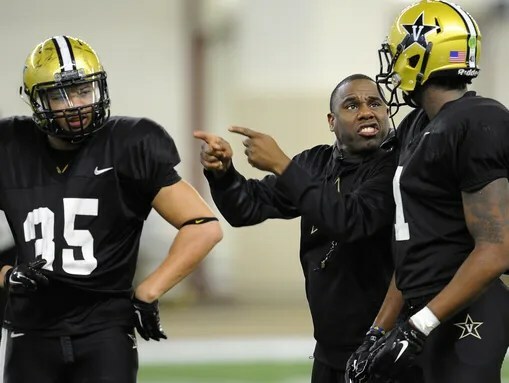 Jason Smith: Derek Mason, Vanderbilt. Top-10 team to fall out of the rankings by season’s end? Chad Floyd: This was tough, because TCU, USC, and Florida State all have baggage and tough schedules. Give me Oregon though, based on an early loss at Michigan State and adjustment to the post-Mariota era. Jason Smith: Baylor – this probably won’t happen as publicity storms like the one Baylor is currently experiencing tend to produce the us vs. them mentality that gives teams an edge. But let’s assume that TCU are as good as we think they are and that the Big 12 is a meat grinder of SEC-proportions. If all of that is true then Baylor is probably the most likely to have the wheels come off. Probably won’t happen but I could see them finding themselves 12th at the end of the year. Unranked team to rise to top 10 by season’s end? Andrew Hall: Louisville, which lends some credence to the Auburn volatility principle mentioned above. Chad Floyd: Texas A&M. 3-loss regular season and a bowl win with the SEC bump? Pretty damn plausible. Daniel Palmer: Doesn’t matter (Editor’s note: participation grade- INCOMPLETE). Jason Smith: Virginia Tech. 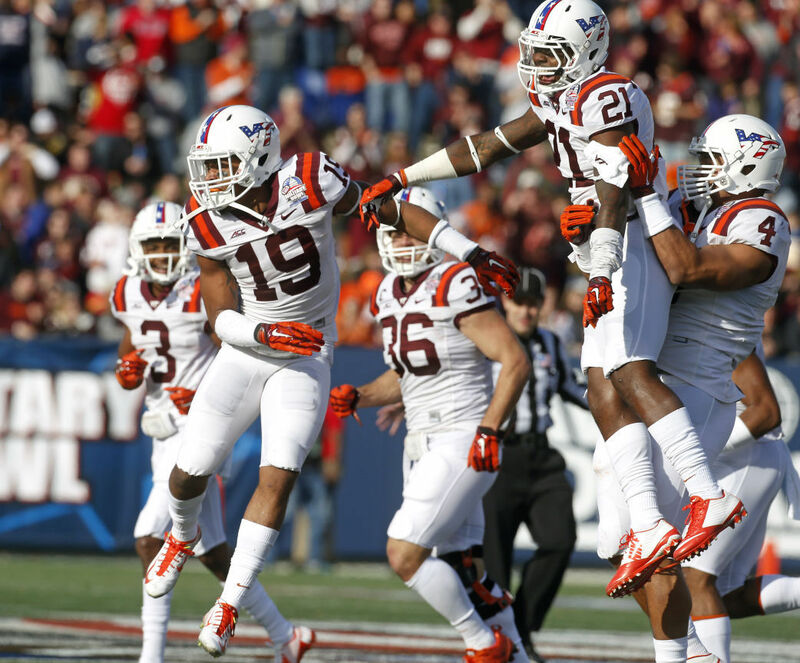 They have a dominant defense in a conference that is hardly known for dominant offenses. They have a path to the conference championship game that doesn’t run through FSU. Yes, they open with Ohio State, but they aren’t expected to win that game so they can only gain votes by performing well. Get to the ACC Championship game while also knocking off a Top-10 ranked Georgia Tech and I don’t see how you don’t scratch the Top-10. Posted on August 27, 2015, in Blog. Bookmark the permalink. Leave a comment.